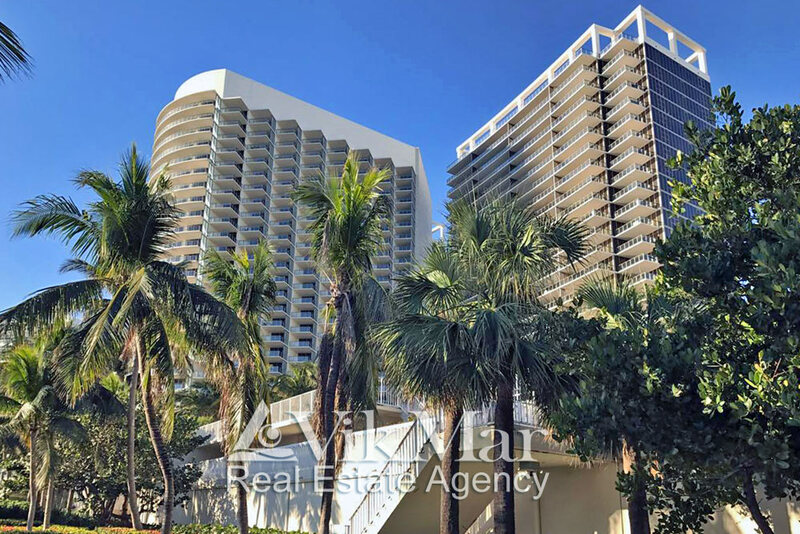 The Bal Harbour suburb is one of the most comfortable areas of Miami Beach, which has a large number of properties for sale. Among of the various offers, we have elite apartments in the residential complexes of this area, which are the most comfy and expensive real estate in the USA. The ultra-luxurious residential and social environment of those 5 star resorts provides the most comfortable conditions for living and relaxing on the Atlantic coast of South Florida all-year around. One of the complexes is ‘The St. Regis Bal Harbour‘, which is quite often called the ‘Northern Gate’ of the Bal Harbour area. The original 26-storey building of this apart-hotel, designed for 116 luxury apartments, was built in 2008 by the well-known regional developer ‘WCI Communities’ by the project of architectural bureau from South Florida ‘Nichols Brosch Sandoval & Associates, Inc.’. The residential complex is located in the north of an island part of the Florida reef, to the south of the man-made channel ‘Baker’s Haulover Inlet’, at the picturesque point of confluence the waters of the Atlantic Ocean and Biscayne Bay. It is the last complex in the front line of high-rise buildings, built along the wide sandy beach of Miami Beach. Since the grand-opening of this complex, the owners as well as its name was changed from ‘The Regent Bal Harbour’ to the ‘ONE Bal Harbour Resort & Spa’, and since 2014 it is known as ‘The Ritz-Carlton Bal Harbour’. Approximate prices for the apartments in this prestigious residential complex are in range from $2 million to $7 million. In 1998, on the southern border of the Bal Harbour area, which goes along the 96th Street, the 22-floor apart-hotel and condominium ‘Majestic Towers Condo‘ was built. It consists 153 luxury apartments with total areas from 200 m2 to 420 m2, as well as a fine cuisine restaurant, water- and playgrounds, fitness and SPA centres, a tennis court and a beach club. Depending on the size, the estimated selling prices of luxury apartments with ocean views in this complex are in range $1.85- $6.2 million. The construction and commissioning in 2012 of this class 5+ stars high-rise complex ‘The St. Regis Bal Harbour Resort’ is often called by experts as the Renaissance period for elite real estate in Miami. This unique 5-star 27-story condominium with a hotel complex and total cost over $1 billion was built in front of the luxury shopping mall ‘Bal Harbour Shops’ and took a place of a Sheraton Hotel building, which was built in 1956 and demolished in 2007 year. 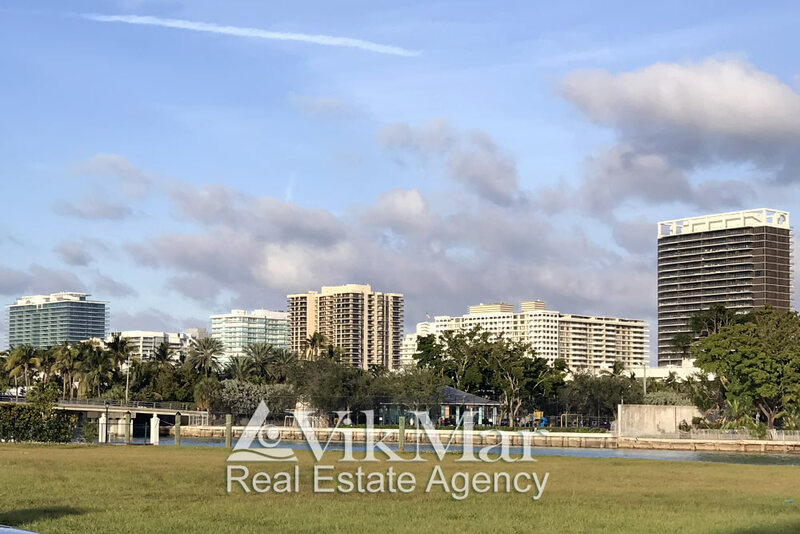 Finally, the last plot of land for the high-rise building construction on the Atlantic coast of the Bal Harbour area was sold in 2012 to the famous Argentinian property developer Eduardo Costantini for $220 million. Earlier, the ‘Bal Harbour Beach Club’ used to be placed there. Currently, the luxurious 28-storey residential complex with waterpark ‘Oceana Bal Harbour’ is built on its place by the project of the international architecture corporation ‘Arquitectonica’. The estimated market value of this complex is about $1.3 billion. It has 240 elite apartments with sales prices ranging from $3million to $30 million. According to the analytics of Condo Vultures® Realty, in the northern suburbs of Miami Beach (in Bal Harbour and Surfside, as well as on the Bay Harbour Islands) they expect an excess of supply on the elite real estate market, during the next two years, especially in the built in this area complexes. In this area, the prices of luxurious housing for sale start from 1$ million, with average current price of $3.6 million for the elite unit.